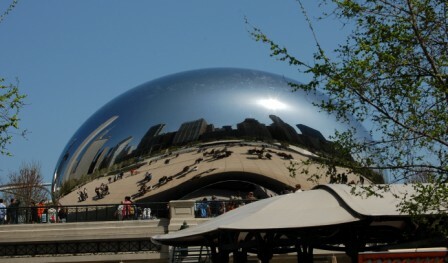 Chicago Hotels - Make reservations at a Chicago hotel for discounts on rooms. Purchase a GO CHICAGO Card. It is the perfect way to save on your Chicago vacation! Follow HotRooms on Twitter for up to the minute updates on specials! Welcome to Hot Rooms�, Chicago's premier discount service, offering our clients maximum discounts at Chicago hotels. We are located in Chicago and specialize in Chicago reservations. Our staff have seen all the hotels in person and can help you decide on the best hotel for your needs. Hot Rooms� discounted rates are available weekdays as well as weekends. With Hot Rooms�, there is no club to join, nor any fee to pay. Hot Rooms� is a free service to the caller. Hot Rooms� is a free service to the caller. With Hot Rooms�, there is no club to join, nor any fee to pay. Who can use Hot Rooms�? Anyone who wants to save money on Chicago hotels: tourists, families, business travelers, midweek and weekend getaways, house guests. What about groups of rooms? We can help you with: weddings, meetings, tour groups, school groups - just contact our Group Department for special rates. Callers can book reservations from the day of arrival, to as far as four months in advance. Some of our customers have even called from their car phones in route to Chicago, but if you prefer pre-planning, call Hot Rooms� today! You just need a credit card to guarantee your reservation. Our rates are not inclusive of the 17.4% downtown Chicago hotel tax. (tax varies in the suburbs as noted) Nothing is charged to your credit card, you pay the hotel directly for your hotel stay. We accept American Express, Mastercard, Visa, Discover, Diners Club and Carte Blanche. Our phones are answered 24 hours a day, 7 days a week, by agents who can make your reservations. If needed, our staff can return your call the next business day during our office hours, 9AM-7PM weekdays. If you need immediate assistance please call 800-468-3500 then press zero to speak to an operator. Or call 312-649-0597. If you wish please e-mail us at hotrooms@hotrooms.com. What if all the rooms in the city are sold out? It's true, Chicago is a very popular convention destination, so some dates may be sold out. If you're traveling for pleasure, perhaps you can change your dates of travel. Our expert staff will be able to inform you of available dates for your stay. In case this is not an option, Hot Rooms� will either be able to make your reservation at a downtown Chicago hotel at a slightly higher rate, or we will place you on our wait list. If you are on our wait list we will call you. With a little patience, you will be able to get a room even during the largest of conventions. We have succeeded in placing over 100 wait listed clients during some of Chicago's largest conventions! Maintained and hosted by: ITS, Inc.